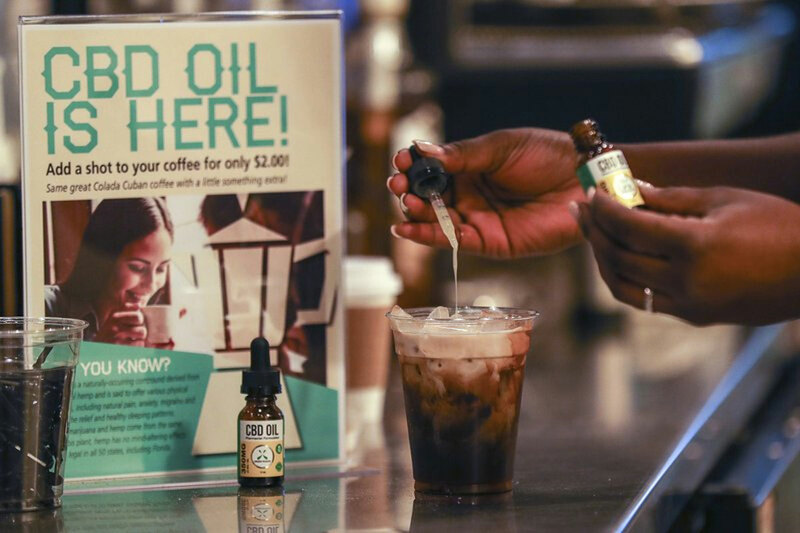 With CBD showing up everywhere, U.S. regulators announced they are exploring ways the marijuana extract could be used legally in foods, dietary supplements and cosmetics. The U.S. Food and Drug Administration said it will hold a public hearing May 31 to gather more information on the science, manufacturing and sale of cannabis compounds like CBD. Products containing CBD are already in stores and sold online, so it’s easy to believe there must be something special about the ingredient. But the claims are largely unproven and quality control standards don’t exist. Widely sold online, CBD now is going mainstream with major retailers offering salves and balms for the skin. Prices range from $12 to $150 an ounce at high-end shops. The FDA announced Tuesday it has sent warning letters to three companies marketing products with what outgoing Commissioner Scott Gottlieb called “egregious, over-the-line claims” for CBD’s effects on cancer, Alzheimer’s disease, fibromyalgia and drug addiction. Among the cited examples: “CBD successfully stopped cancer cells” in cervical cancer. Advanced Spine and Pain LLC of Mount Laurel, New Jersey (doing business as Relievus); Nutra Pure LLC of Vancouver, Washington; and PotNetwork Holdings Inc. of Fort Lauderdale, Florida, did not immediately return calls and emails seeking comment on the warning letters. The most common side effects of the CBD drug Epidiolex include sleepiness, decreased appetite, diarrhea, increases in liver enzymes, exhaustion, rash and infections. FDA’s Gottlieb noted Tuesday the potential for liver injury and other risks can be handled with medical supervision but less is known about how that would be managed without oversight. And there are questions about overlap if multiple CBD products are used. For now, the agency has said CBD is not allowed as an ingredient in food, drinks or dietary supplements. In stating its position, the FDA cited a provision of the law prohibiting food makers from using active drug ingredients or those that are the subject of substantial research. But the agency doesn’t have the resources to police all the CBD products that are already available, said Marc Scheineson, a former FDA official. Skin creams and cosmetics may be on safer footing with the FDA, but that too remains uncertain, said Camille Gourdet of RTI International, a nonprofit research institute in Durham, North Carolina. Though cosmetics aren’t subject to premarket approval by the FDA, they could run afoul of regulations if they make specific health claims. CBD Showing up Everywhere, but Does it Work?